The Thinking Tree came out with a pretty cool math book called Math Mysteries. 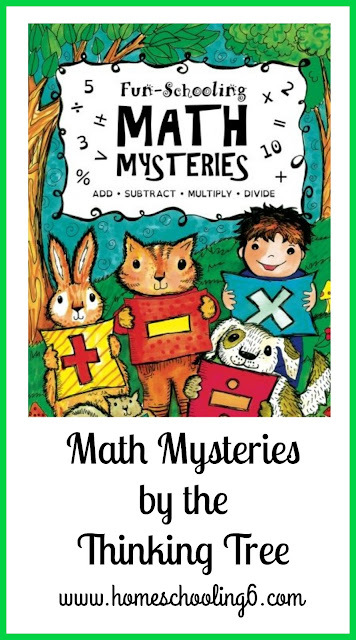 Math Mysteries is a fun way to practice and help your child understand subtraction, addition, multiplication, & division. Isn't it cute? I love it and am looking forward to using it with Lance. I might skip the addition and move onto the subtraction though. I just thought the cover was adorable (as always) Sarah is so talented. This is not too girly for boys either which I love since I have five boys. What I love about The Thinking Tree is how they call math problems Math Mysteries. Mysteries are more fun to solve than "problems" don't you think? Children LOVE mysteries (at least mine do) so what a genius idea to call solving math problems ~mysteries! I love how the child is to draw something. I think sketching and drawing is a great way to relax the brain before digging into a math problem. If the child does the drawing/sketching/coloring afterwards than again, it's a great way to cement what he just did to long term memory and it's fun! I look forward to completing some of these with my kiddos. I love that about the Thinking Tree books. Even adults enjoy doing school. I have told my kiddos more than once that I would have loved these types of fun-schooling books as a kid. A Thinking Tree trait, get some creative writing in while you're at it too. I love that with The Thinking Tree. You can have your child continue a story about the people in the word problems or create their own. They can even make it a mini daily journal entry, copy a verse, or just leave it blank as my kiddo did :p I'll be encouraging my little guy to write something. Oh, they can even write about the coloring page. The one below looks pretty interesting. Is that a water slide inside a house! And right now (at the time this was written) it's on sale. So pick one up for your little guy or gal and let the math fun begin. 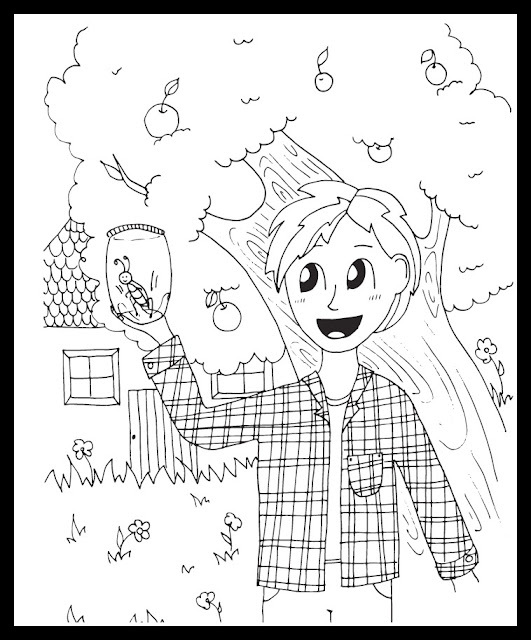 Visit The Branch to see more Thinking Tree Journals! This looks fantastic. I love how the problems are open-ended. You can adjust the difficulty by using harder or easier numbers for your children. 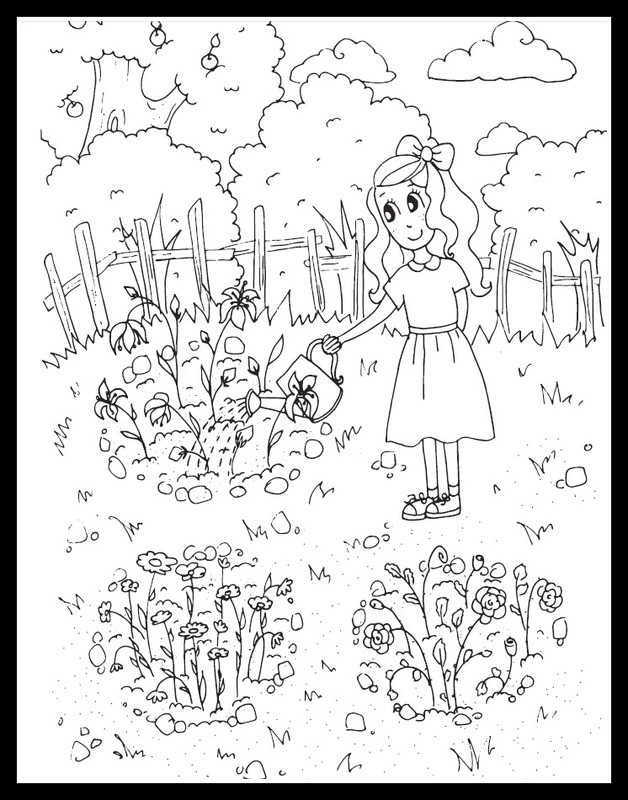 Plus, the coloring and creative writing are a bonus in a math book.